In Spain, towns and cities all over the country all have their own unique festival celebrations and crazy traditions. As people get ready to celebrate the welcoming of the new spring season, there is no better place to be than Valencia! 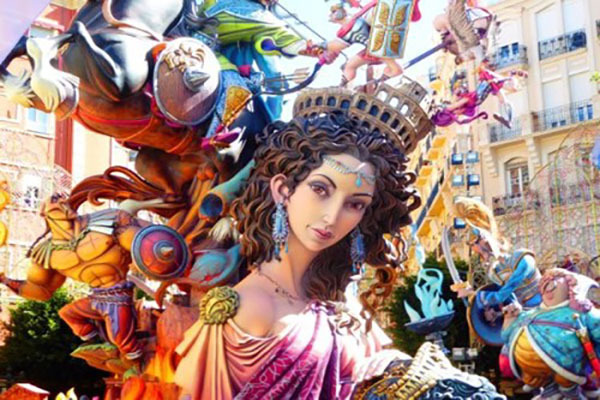 Las Fallas will be celebrated in the Community of Valencia during the 15th-19th March this year, but the streets will begin to fill up with the hustle and bustle and excitement of the festival long before that. 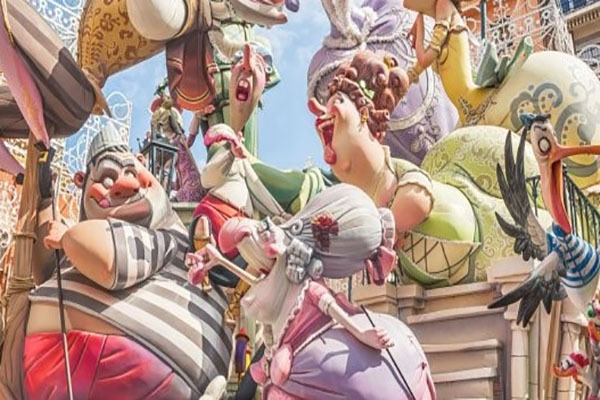 Las Fallas is a celebration which brings art and tradition yet fun and satire all together, and the Valencians be sure to live their most famous festival to the fullest. However it is not just for locals – people from all over the world travel to Valencia at this time of the year to join in on the celebrations and witness the great variety of famous events which take place during this unique festival. 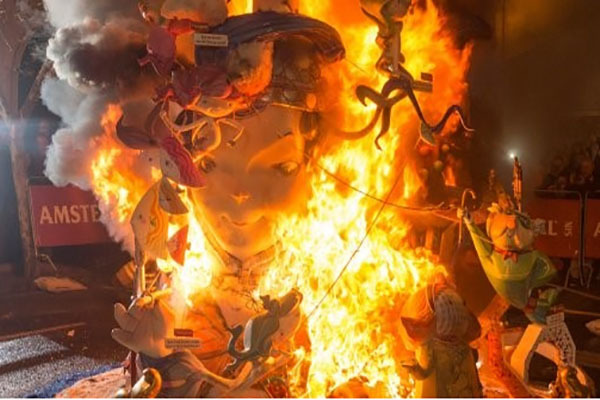 There are many different theories which explain the origins of Las Fallas festival. The oldest of these beliefs is that it comes from a simple Pagan ritual that celebrated the Spring’s Equinox and the coming of summer. The religious aspect of the festival comes from the association of Saint Joseph, who is the patron saint of carpenters. In 15th-century Valencia artisan carpenters would have to work by the light of oil lamps during the winter months known as “parots”. When spring arrived and the days become longer the carpenters no longer needed the lamps, so they began ceremoniously burning them along with old wood and junk. Over time the workers added creative touches to the ritual which resulted in the lamps eventually resembling dolls and figures. These become known as “Ninots”, which to this day is how the wooden figures are known. 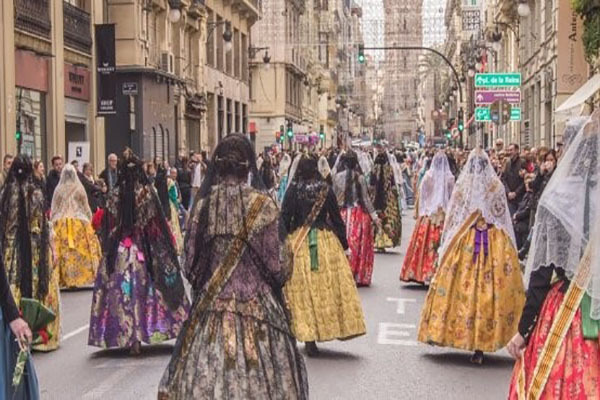 Mascletà (1st-19th March) – every day at 2pm in the Plaza del Ayuntamiento a magnificent display of gunpowder sounds, creating an incredible audio event. The streets then fill up with people who come to enjoy some typical Valencian food. La Plantà (15th-16th March) – Overnight on the 15th, the men and women who made the ninots work through the night to display their works around the towns and cities. Prize Giving Ceremony (17th March) – The jury goes to the Plaza del Ayuntamiento to decide upon the winners from a choice of over 750 constructions. It is here that the winners collect their prizes. 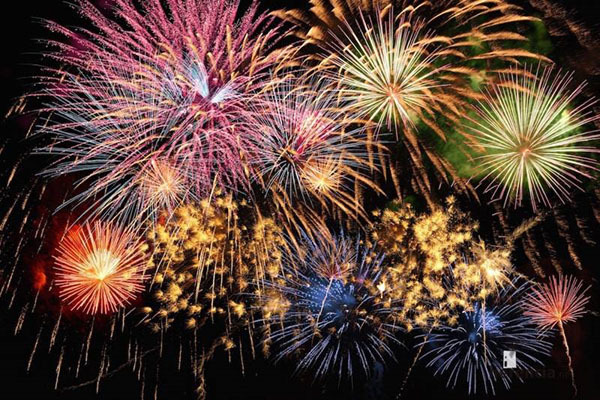 Fireworks & Nit del Foc (15th-19th March) – At midnight from the 15th-18th, everyone gathers on Paseo de la Alameda to enjoy the wonderful fireworks displays. The early hours of the 18th is known as the Nit del Foc and offers a final firework display so incredible that it is the only one of its kind in the world. 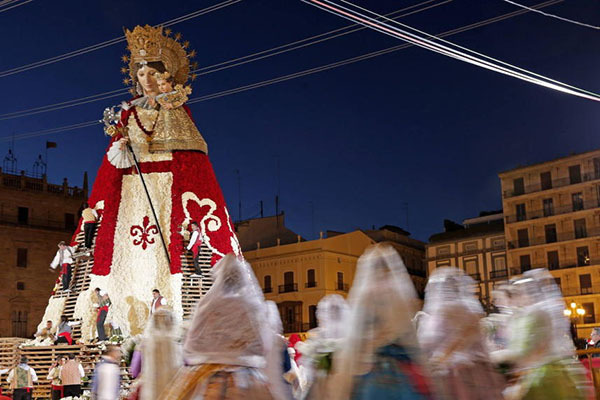 Offering of Flowers (17th-18th March) – All of the cities fallas commissions take place in a parade to the Plaza de la Virgin where they make an offering of flowers to Our Lady of the Forsaken, the Patron Saint of València. Once all the flowers are given an impressive 15 metre-high tapestry is formed on the main façade of the Basilica and a mantle is made for the Virgin. 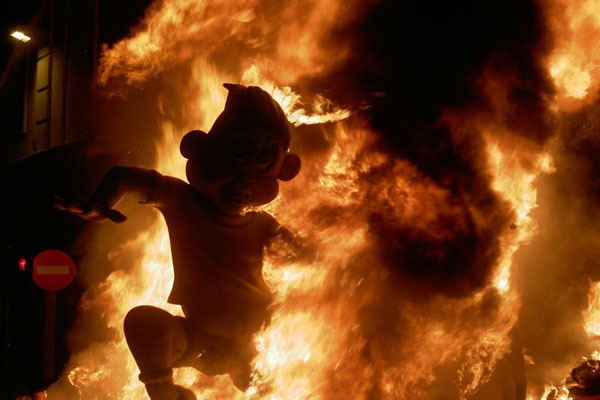 The ninots (and the subsequent burning of the ninots) are the main focus of the Las Fallas festival. The Ninots are giant figures which are made out of wood and papier-mâché and can often take a whole year to construct. They are then carefully and beautifully decorated by artists who paint them as satirical figures, which can even be celebrities or politicians. The ninots are then displayed around the celebrating towns and cities to be admired by all those who have come to celebrate. That is until the most important day of the festival known as La Cremá (19th March) at exactly midnight, when all of the ninots are set on fire! Interestingly though, one doll is saved each year by public vote and then becomes part of the museum of the Ninots. 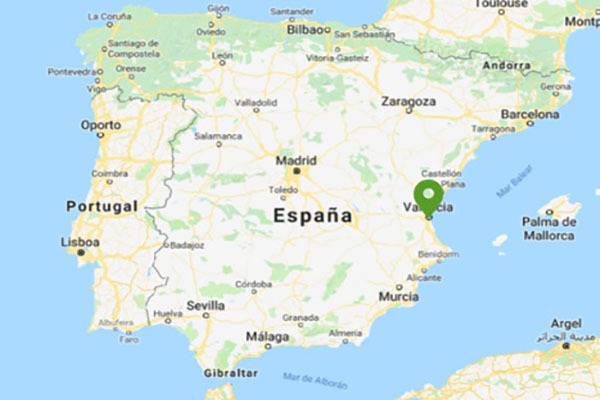 If you are interested in being a part of the amazing Las Fallas celebrations, do not hesitate to contact us at across spain and ask about our 2019 Las Fallas packages!